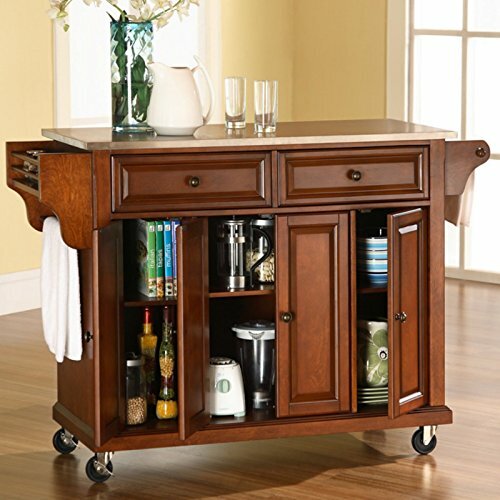 Constructed of solid hardwood and wood veneers, this mobile kitchen cart is designed for longevity. The beautiful raised panel doors and drawer fronts provide the ultimate in style to dress up your kitchen. 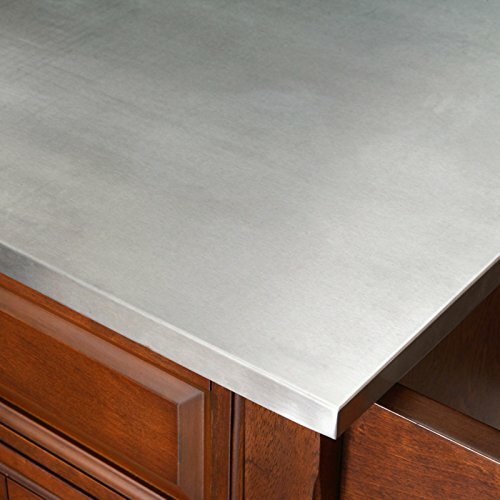 Two deep drawers are great for anything from utensils to storage containers. Behind the four doors, you will find adjustable shelves and an abundance of storage space for things that you prefer to be out of sight. 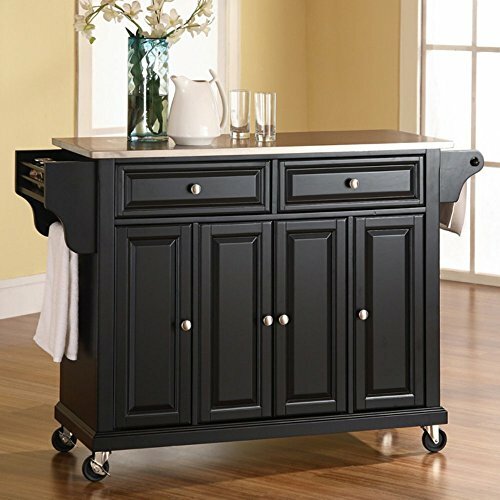 The heavy duty casters provide the ultimate in mobility. 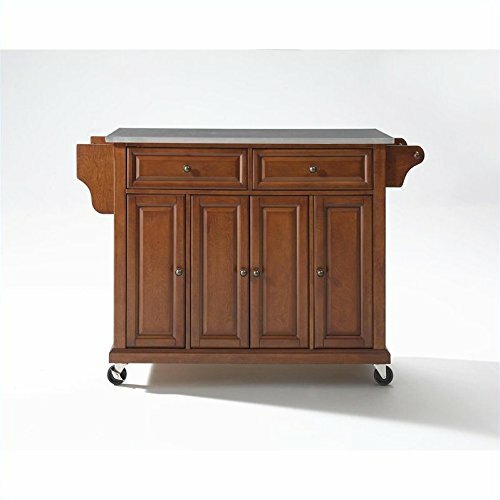 When the cabinet is where you want it, simply engage the locking casters to prevent movement. 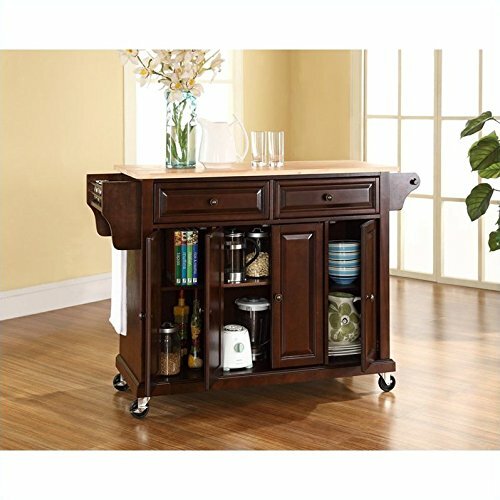 Style, function and quality make this mobile kitchen cart a wise addition to your home.